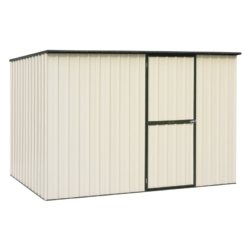 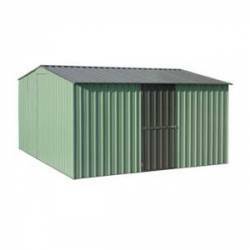 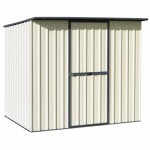 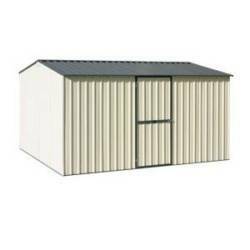 3.03W x 1.08D x 1.83H (low side) sloped roof garden shed with single door. 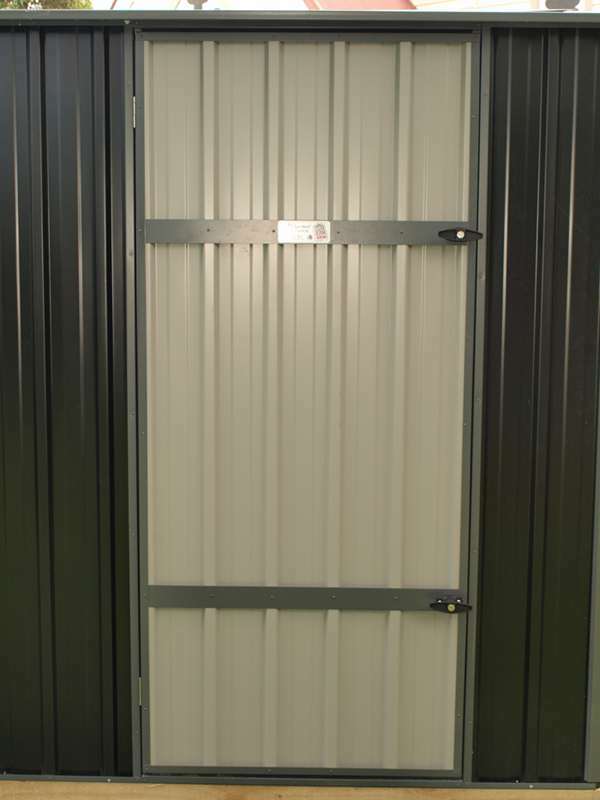 Long enough to cross the international date line and thin enough to be a supermodel. 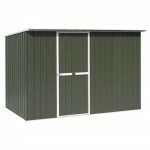 Just to prove that we really can make sheds in all shapes and sizes. 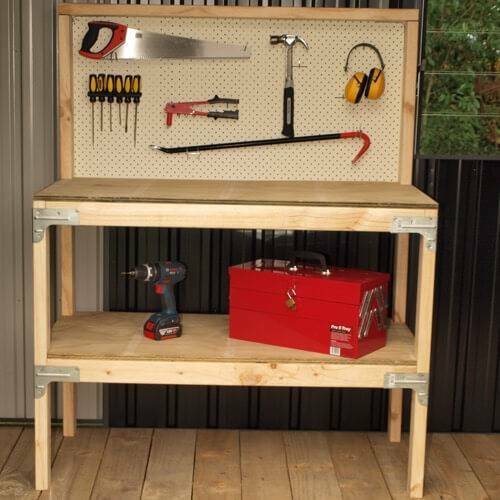 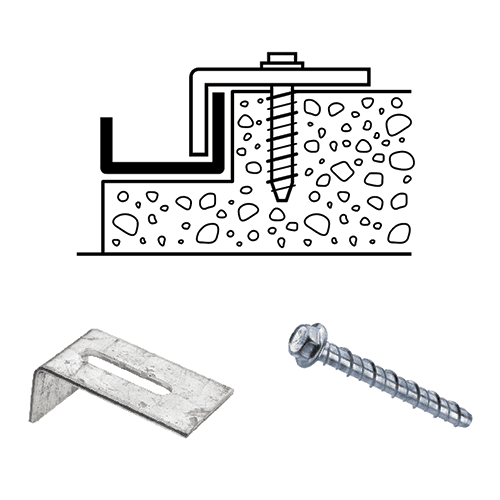 Can you find a place for this at your home? 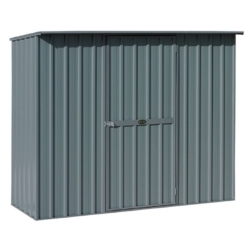 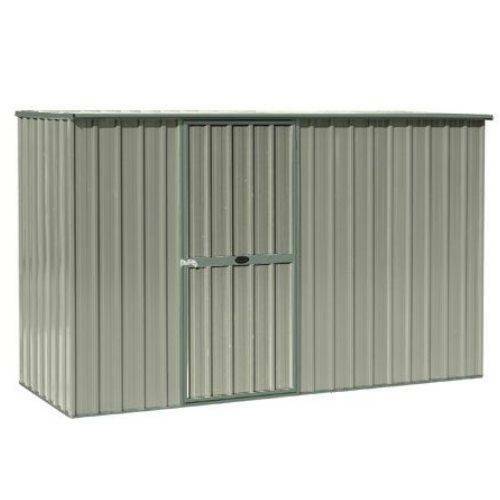 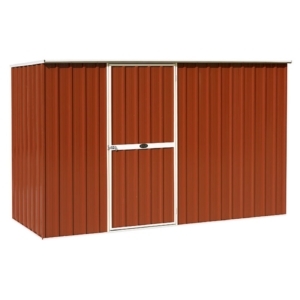 A 3.0 x 1.1 metre flat roofed kit set garden shed available in zincalume or a wide range of coloursteel colours.